Our education pathways start from the age of 5 with our exciting Nipper Pathway this then enables progression to the Graduate Lifeguard Programme and on to the vocational awards for Adult Lifeguards, following our Lifesaving Pathway. We train to the highest standards. All training is delivered by our qualified volunteer club trainers within a robust quality control system. A wide range of choices are available, through unitised modules enabling you to select and build your qualifications in your own time. Our Lifesaving sport pathway includes a range of official and coaching awards. If you like an adrenalin rush and high speed, our powercraft qualifications will enable you to act as safety cover at SLSGB and other aquatic open water events. If this isn’t enough and you’re still wanting more, you could join our staff led volunteer personal development programme to become a Trainer Assessor to deliver SLSGB search and rescue qualifications, become part of the National Patrol Framework and operate varying levels of patrol or you could join our professional standard Flood SAR Teams or Event Water Safety Management training to be part of the highest level of the volunteer search and rescue community. SLSGB is a National Operating Authority for the Duke of Edinburgh (DofE) Awards. Selected clubs are able to deliver the different levels of awards through club volunteering activity. The concept of the DofE is simple – anyone aged 14 to 24 can do a programme at one of three progressive levels which, when successfully completed, lead to a Bronze, Silver or Gold Duke of Edinburgh’s Award. DofE programmes are all about getting out there, having fun and self-development. Everyone can achieve something. You’ll find yourself helping people or the community, getting fitter, developing skills, going on an expedition and taking part in a residential activity (Gold only). 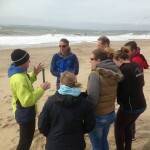 DofE within Surf Life saving offers a unique opportunity to be actively involved in beach sport and with a community that saves lives and prevents drowning. A Surf lifeguard is qualified to make risk assessments that relate to whether or not it is safe for people to use the beach and to advise on the use of the beach and to respond to those who need assistance or may be in difficulty. If a rescue response is required they should not act on their own and should be part of a team, each person of which will have a role in that response. Their role is to establish if it is safe to run a training session and to provide safety cover. They are not trained to plan a session or to coach. Nobody is saying that what most clubs do in managing training sessions is unsafe. The problem is that SLSGB has only focused in the past on the development of Educators and Assessors for life saving awards at various levels. A Trainer Assessor is an educator role not a Coach role. They are only required to provide information relating to our Awards and to assess that a required standard has been achieved against an established assessment criteria. This is not to say that they don’t do an excellent job but they have not been formally trained to plan and deliver all the aspects of coaching sessions. This is a lot more than prevention of drowning – it is Safety and Duty of Care in a far bigger perspective and requires the overall management of the session. Most Clubs will have developed good and safe processes for delivery of training sessions by applying experience and common sense. Nothing wrong with that! The issue is that if something goes wrong, how do we demonstrate that it is uniformly to a documented and established best practice standard, as the law expects? A Level 2 Coach will ensure that a Lifeguard has undertaken the risk assessment, that there is safety cover that meets the requirements of the National Safety Guide, that safeguarding protocols have been met, that all on the session are fit and any medical conditions are known, that parent/ guardian approval has been given, that first aid cover is available, that there is a EAP and back up if needed – And that the session plan is within the ability of those involved and that there is suitable equipment and helpers and that the session will deliver a progressive individual development opportunity with feed back. Most of all, that the session is fun and meets expectations. There is also the widely misunderstood question of helpers, assistants and the Level 1 coach. Firstly, a Level 1 Coach is only qualified to assist, not to lead and should at all times be directly supervised by a Level 2 Coach. Sessions led by Level 1 Coaches without the attendance of a Level 2 Coach should not be happening. As to assistants and helpers, they are essential but by their very nature, mostly unqualified and for the good of all need to be well supported and managed. Many need instruction to be useful. This is one of the key roles of the Level 2 Coach. 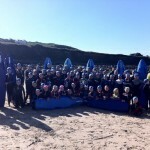 Most of Club training sessions now are to service the needs of our 2700 Nipper members. Their needs in particular require a fully managed approach to a uniformly high standard and whilst many Clubs will have addressed this, a qualified Level 2 Coach in charge will do everything that the duty of care requires supported by safety cover as required and very clearly set out in the National Safety Guide, an excellent and still valid requirement. Other training at different age groups should be no different just because people involved are older. Our view is that what we do as Clubs and as an NGB is inherently high risk and we have no alternative as Life Savers but to do the best we can to ensure that training is run to the highest standards. The law sees it this way and the recently revised policies of the Health and Safety Executive certainly do. After several leisure park drowning’s and loss of life at Triathlon/ Open water events resulting in pending prosecution of those in charge, HSE have indicated that whatever the circumstances, if a proper duty of care is not applied they will punitively fine and where necessary send to prison those who are found wanting. Past judgements have recognised limitations of small organisations and tended to be sympathetic to those who are voluntary. This is now not the way future judgements will be applied and regardless of size or resources ALL are required to apply a uniformly high standard following best practice. There is now no defence in saying we did our best or it was what we always did. In the worst case this could mean direct attacks on Club officers and even members with risk of prison and punitive fines. Not a risk worth taking when it is relatively easy to avoid. All other Sport NGB’s adopt the Coach Framework of UKCC to use qualified Coaches. How can we think that we can be different and are a special case? We certainly could not sustain such an argument in a Coroners Court or to parents of a child who drowned in our care. Could you? We have consistently over the last 2 years and particularly last year pushed hard the message that Clubs need Level 2 Coaches and why. MIS tells us that only a small number of our Clubs have understood and taken this on board. Our duty of care is that we do the best we can to ensure that those in our family follow their duty of care. Ultimately, what you do as a Club is up to you, your choice. All we can do is provide guidance. The whole point of this is exactly that if a Level 2 coach leads sessions they will make sure that ALL aspects of the session including proper safety cover are in place and this includes safeguarding, inclusivity and a multitude of other special needs. It is also high on the list that the session should provide a progressive activity development plan. Lifeguards or TA’s are not trained in any of this. Safety is delivered by a proper plan that embraces all aspects, not just prevention of drowning. We know that one of the current issues in “Sport” is sport injury (sometimes for young people, life changing) This is often caused by those in charge who have no coaching experience so do not know where the safe boundaries are. Currently Nipper competition seems to reflect more focus on winning than participation evidenced by how many leave us at age 14. 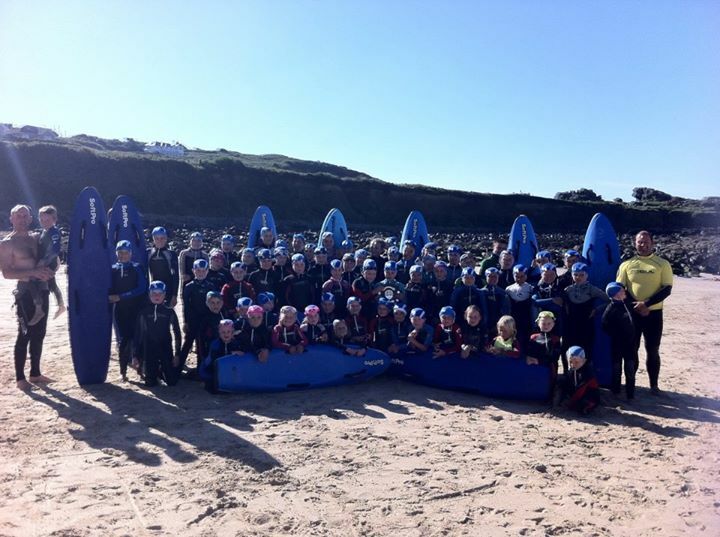 There is also the issue that in nippers many clubs involved do not fully comply with competencies and currently hardly any lifesaving education is delivered. Level 2 Coaches would not accept that situation but some clubs seemingly do. We also know that some Clubs are not using the National Safety Guide and deciding for themselves what safe looks like. When asked, some clubs had no idea that there was a National Safety Guide. A level 2 Coach would follow and apply the guide. We should be rightly proud of our Trainer Assessors and Lifeguards and the very high standards they achieve but we need to do more to be up to best practice for training sessions. This is not a big or impossible task. It is a step change that will bring about huge benefits and not only in the area of safety. Trained Coaches do improve the experience and quality of training delivery and will ensure that a progressive sport development programme is provided. For many Clubs the TA conversion to obtain the Coach endorsement will be easy and low cost. There is plenty of time through the winter months to get people trained. We need to do this and we need to do it now – so lets please just do it!